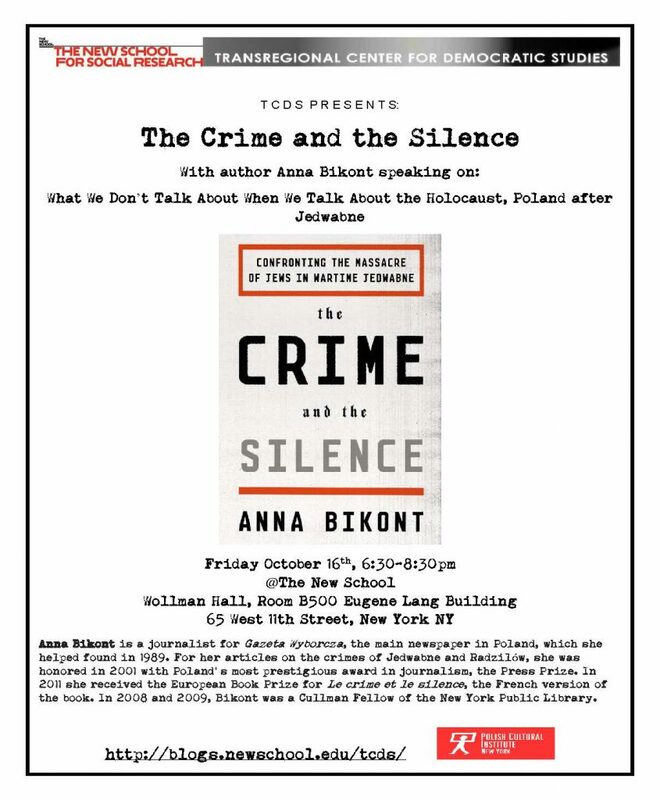 On October 16, TCDS hosted The Crime and the Silence at Thew New School with author Anna Bikont speaking on: What We Don’t Talk About When We Talk About the Holocaust, Poland after Jedwabne. Anna Bikont is a journalist for Gazeta Wyborcza, the main newspaper in Poland, which she helped found in 1989. For her articles on the crimes of Jedwabne and Radzilów, she was honored in 2001 with Poland’s most prestigious award in journalism, the Press Prize. In 2011 she received the European Book Prize for Le crime et le silence, the French version of the book. 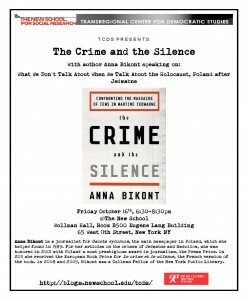 In 2008 and 2009, Bikont was a Cullman Fellow of the New York Public Library.